The corporate media insists this is some sort of “copycat” incident. Obviously, Cesar Sayoc isn’t responsible—he was arrested last week and faces arraignment later today for “mailing” (with uncanceled stamps) the previous assemblages of junk described as IEDs by the media (a term used to describe terrorist explosive devices, the sort that actually explode and kill people). I believe this latest “pipe bomb” was sent by the same people who sent the previous non-bombs—and it wasn’t Cesar Sayoc, who is little more than a dim-witted patsy. This entire event is an orchestrated act of political theater designed to stampede ill-informed and propagandized Americans into the polls where they will vote for Democrats on the first Tuesday in November. The entire affair is reminiscent of Operation Gladio and its Strategy of Tension, that is to say orchestrating terror attacks to realize a political objective by manipulating the public with fear and trepidation. 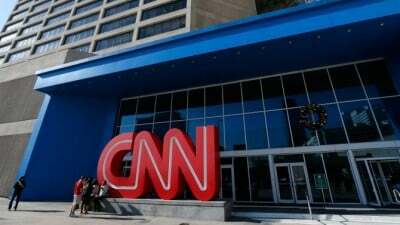 The CNN-Democrat fake bombs are also being used for political purpose. The cartoonish stripper and conman Cesar Sayoc—with his farcical Trump regalia emblazoned van—is a classic patsy (and his role is presumably, like the Red Brigades in Germany, a creation of the state and its intelligence services; in Italy, it was the work of the military secret service Servizio Informazioni Difesa collaborating with Ordine Nuovo, a fascist group). It is well-known that the FBI specializes in patsy terror operations, using informants and provocateurs to keep the forever war on terror moving forward to its ultimate destination: an all-encompassing police and surveillance state, the primary objective being the destruction of any political competition. This charade of non-bombs and hyperbolic corporate media headlines will slide right into the election. I’m not sure if it will be effective. Millions of Americans are fed-up with the government, that’s why they naively voted for the poseur Donald Trump. No doubt many will accept this latest theatrical stunt as legitimate despite its glaring inconsistencies and—quite frankly—stupidity. Less Americans are swayed by state propaganda than were two decades ago. However, there remains a significant degree of ignorance within the public at large on political and historical issues, due primarily to public education and ceaseless media propaganda (which is also inserted into entertainment). But does it matter? The war party remains in control no matter who gets elected to an increasingly irrelevant Congress. The fight between Democrats and Republicans—increasingly frenzied and downright vile and uncivilized—is nothing but an absurd political cabaret designed to foment discord and violence, behavior that can be exploited by the state in classic Hegelian fashion.